Tag Archives for " Izaak Crook "
As a small business owner, asking “why should I create an app?” is a lot like asking “do I really need a website?” was a few years ago. Sure, it was (and still is) possible to do much of what you need using a Facebook page, but they’re just not built to do what a website can. While a Facebook page can, for example, show opening times, it’s not so easy to offer a detailed breakdown of lunch, dinner and a la carte menus. In that respect, Facebook pages are to websites as mobile websites/responsive sites are to mobile apps; they get the job done, just about, but you generally can’t use them to do EVERYTHING that you’d like to. This post will cover a few of the advantages of creating your own app as opposed to using a responsive site or, even worse, not doing anything with mobile at all. Whatever the size of your business, the dream is to have a core customer base who come back to make purchases time and time again. Of course, the trusty loyalty scheme is a big part of what keeps bringing people back. Physical loyalty cards are inefficient (and disliked by 33% of millennials) because it’s way too easy for customers to accidentally leave their card at home. And losing a card that’s almost full can leave a sour taste in the mouth! Plus, unless your stamp/punch is somehow “hack proof”, your scheme is also open to abuse by anyone who figures out a way to replicate it. In-app loyalty schemes effectively remedy all of these problems. As long as customers have their smartphone handy, they can claim their stamps or any rewards owed. Some apps even allow, through the use of receipt barcodes or something similar, the delayed addition of codes if you don’t have your smartphone handy at the time. Apps offer even more power when notifications are enabled – if you’re trying to drive footfall using a limited time offer, you can send out a notification about it. If you want to get really fancy, you can even target those who are within a certain distance of a physical location. Mobile is the future. There, we said it. And the stats don’t lie – more and more data is being consumed using mobile devices instead of laptops and desktops. In the final months of 2015 and beginning of 2016, more than 50% of online purchases were being made on smartphones and tablets. That may be because most of the general public is spending more and more time looking at a computer screen at work, and this often equates to a desire to spend less time looking at one during their downtime. For whatever reason, though, smartphone and tablet screens seem to be immune to that rule. The result is that some consumers are approaching the state of “smartphone only”, with apps (and responsive sites) proving to be the only way to capture their attention. In 2016, the number of “smartphone only” Internet users jumped to 12% from 8% in 2013. We’ve already touched on this above, but there are a few distinct advantages offered by mobile apps that responsive sites just can’t compete with. For example, the partially pre-loaded nature of apps means that they’re much quicker than a site downloading over a data plan. Plus, there’s the fact that apps are built specifically for mobile devices from the ground up. Unless responsive sites are engineered properly – e.g. very short text blocks, minified resources like CSS, HTML and JS etc. – they not only perform sluggishly but look ugly too. Then there are all of the unique features offered by apps – push notifications (which result in a 171% increase in app engagement), integrated payment solutions, booking systems, customer support etc. For websites the direct equivalents of these, if they exist at all, are often incompatible with smartphones and tablets. They may, for example, be powered by Flash or third party plugins that don’t place nice with mobile devices. Mobile app builder solutions are gaining more and more ground so, depending on the complexity of the project, hiring an app developer may no longer be a necessity. That’s not to say that app developers can’t be a boon for some development projects, but there’s no longer that pressing need to dive into complex codebases (or hire someone else to do so). There are now drag and drop tools out there that let you avoid writing a single line of code if that’s something you’re not comfortable with. There’s a concern that, as with any template driven product – we’re thinking of MailChimp templates here – that might result in products looking a little same-y. However, the flipside of this is that they’re built around best practices and structures that have already proven their success. In fact, our research indicates that app builder adoption (i.e. with no extra dev power required) can boost sales by up to 112% in a single year! Is there a downside to creating apps? Here’s one that we can think of. You’ll need to maintain multiple apps if you want to cater for iOS, Android, Windows Phone etc. But some app builders, ours included, makes provisions for that and allows you to maintain multiple apps using a single platform. Plus, in order to make the most of your app’s existence, you’ll need to drive customers and potential customers to actually download it. That opens up all sorts of tricky new marketing channels like App Store optimization, mobile app promotion and effectively highlighting your app’s existence on-site. The good news is that many of these are fairly new disciplines. This means that, while your competitors may be pretty good at SEO, they may have little clue about creating an effective App Store listing. That gives you, the earlier adopter, a real chance to get a leg up on your competition. All of this means that whether you’re looking to improve customer loyalty, capture more traffic or boost sales, building an app may just hold the key! 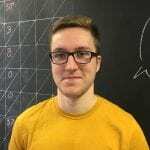 Izaak Crook is a Digital Marketing Executive for AppInstitute, a SaaS App Builder platform that allows anyone to create their own iOS and Android app without writing a single line of code.